OK, you asked for it, here it is! My mom’s first encounter with Mr. Booger Head, aka, Mr. Potato Head, captured live for your viewing pleasure. And you’ll get a laugh and more! PS – You may need to turn up the sound. PSS – Click HERE to read more about mom and Mr. BH. Posted in family, humor, life, love, Uncategorized and tagged aging parent, caregiver, caregiving, dementia, elderly parent, Mr. 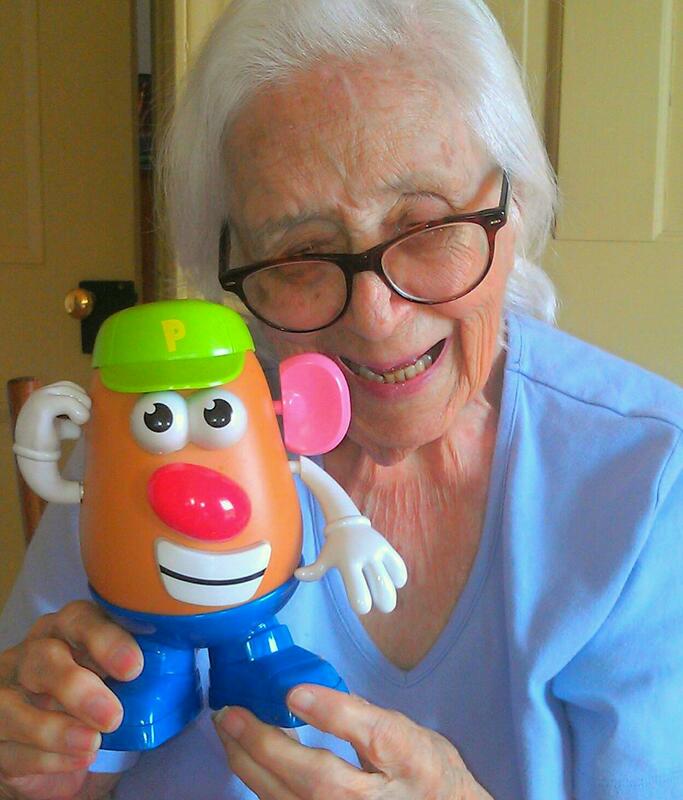 Potato Head, My 91 Year Old Mom, video, YouTube. Bookmark the permalink. Mom loves, no, is addicted to, country music. All I have to do is turn the music up to ten and she takes it from there. The Zac Brown Band is on the performing end of one of her favorite songs right now. “Toes” is the song and when it comes on the radio, all I have to do is make sure I keep my eyes on the road and not get too distracted (emphasis on too). What I want to do is watch her feet. They start tapping to the beat and take on a life of their own. I just love watching her dip her toes in the water and become one with this song! Even though she would swap a cold beer for a tall glass of sweet iced tea any day, she can shake it with the best of them … always has. So, click on my little impromptu video, sit back, relax, and I’ll bet you your feet will be tapping to the beat and your arms will be going here, there and yonder in no time, just follow mom’s lead. Pretty soon, you’ll look down and find your toes have joined mom’s down by the waterside! If you want to sing along, here’s the chorus to “Toes” by the Zac Brown Band. What a great way to kick-start the morning! Hands in the air! Toes in the water! Wish I could drive like that. Nevertheless, life is good today! Posted in family, humor, life, love and tagged caregiver, caregiving, country music, dementia, elderly parent, My 91 Year Old Mom, toes in the water, video, YouTube, zac brown band. Bookmark the permalink. My wife, Melissa, is always on the lookout for things to add to mom’s “Toy Box” … things that will keep mom entertained, engaged and challenged. I call them toys for grown up girls and boys. So, when Melissa spotted Mr. Potato Head in Walgreens, she asked me if I thought it was worthy of being in mom’s collection. My immediate response was that it was plastic, had way too many little parts to keep up with and that mom might try to eat them for a snack. Melissa deftly countered each of my concerns and in a blink of an eye (mine), we were the proud owner of Mr. Potato Head. We gave Mr. Potato Head to mom’s caregiver just before leaving town on a rather long business trip and never saw or even followed up on how mom reacted or interacted with her new little tater tot. This morning, I was reading the newspaper while mom was eating her cereal. It is my “quiet time” and I really treasure those twenty minutes with me, myself and I; my coffee and my paper. I was only half a cup into my “quiet time” when the sound of silence was shattered. When I looked her way, she was holding Mr. Potato Head in her hands and shaking it with all her might. A tiny plastic pink ear flew through the air followed by an arm. I was having one of those what-has-mom-done-now moments and was totally focused on finding the booger. Then I realized she was referring to none other than Mr. Potato Head, himself. Before I could yell, “duck,” another little white plastic arm hurdled through the air and plopped on mom’s shoulder. Unfazed, she flicked it off with one hand while continuing to shake Mr. Potato Head with the other. Then, she started tearing off plastic parts and putting them in her mouth. A pretty decent sized red nose formed a lump in her left cheek. My worst fear was being realized … mom was eating Mr. Booger Head … one bite at a time. Posted in family, humor, life, love and tagged aging parent, caregiving, dementia, elderly parent, Mr. Potato Head, My 91 Year Old Mom, video, YouTube. Bookmark the permalink. My mom bleeds red, white and blue. She always has. She was born and raised in historic Richmond, Virginia, and her family tree has First Families of Virginia (FFV) names carved in its branches. Mom’s aunts (her mom’s sisters), who lived in Charlottesville, were not only FFV, but members of the Daughters of the American Revolution, and as such, early volunteers in helping to restore Monticello … yep, Thomas Jefferson’s little 5000 acre estate. This would have been in the 1920s. As a kid, mom spent many a summer day running free on the grounds, picnicking under the shade of Jefferson’s “pet trees”, including his famous mulberry’s, and climbing up and down the steep and very narrow flight of stairs that led to the dome room. There she would play with the other children, while their relatives helped breathe new life in the old plantation. My sister, Nel, and I were both born in Richmond and history was as much a part of our growing up as catching lightning bugs or playing hide-and-seek. Mom was our teacher, guide and head cheerleader for the good old USA! We didn’t learn history from history books as much as we absorbed it. We five sensed it. We could see, smell, taste, hear and touch it at every turn and it was organic and wonderful. When we moved from Virginia to South Carolina and then Florida, mom made sure Nel and I didn’t lose our connection with the state we were born in, our heritage or our history. Dad would pack up our bikes in the back of our Chevy nine-seater station wagon and head for Williamsburg where we spent many a summer vacation. And, those vacations would last a month or more and yet it never seemed like nearly enough. Nel and I felt like we were colonist and residents of the town. We wore our tricorn hats, bought rock candy at the Apothecary Shop with our own money, drank apple cider from salt glazed mugs at Chowning’s Tavern, took turns locking each other in the pillory and stocks and rode our bikes, unrestricted, all over the town, from the College of William and Mary, to the Governors Palace, to the Capitol and everywhere in between. Nel and I would ride our bikes to the Williamsburg Visitors Center and watch the free orientation film, “The Story of a Patriot,” two or three times a day almost every day of our stay. One of my favorite scenes in the movie took place at St. John’s Episcopal Church in Richmond where the famous orator, Patrick Henry, gave his famous “Give me liberty or give me death” speech. That was the line every school kid was familiar with, but there was a fragment of a sentence in Patrick Henry’s speech that I found even more meaningful and useful (once I found out what it meant). I honestly never tried to learn or remember the rest of the sentence … I had all I needed. When I asked, Dad told me pusillanimous meant lacking courage and resolution. I translated and condensed that into my own language which was “Chicken”! So, anytime my sister wouldn’t do what I wanted her to do, I would repeat the question, “Are you so meek and pusillanimous?” with such passion and conviction that it was guaranteed to make Nel run to mom and dad, with tears in her eyes, to tell them I used those bad words again. I just smiled and repeated to myself, “Chicken”! When I was called on the carpet for this, which was often, I would have to remind mom and dad, that it was exactly what Patrick Henry said and that Nel was just way too sensitive. I was just trying to practice a little history I had learned from a great Virginian! As you might imagine, my logic didn’t hold water with mom and dad … but, it was worth it. That sentence fragment, that I turned into a stand alone sentence, started a revolution with my sister and me each and every time I used it, just like it had done for Patrick Henry. Jamestown and Yorktown were just down the road from Williamsburg, and when you put them together, what more did you need to get a grip on American history. 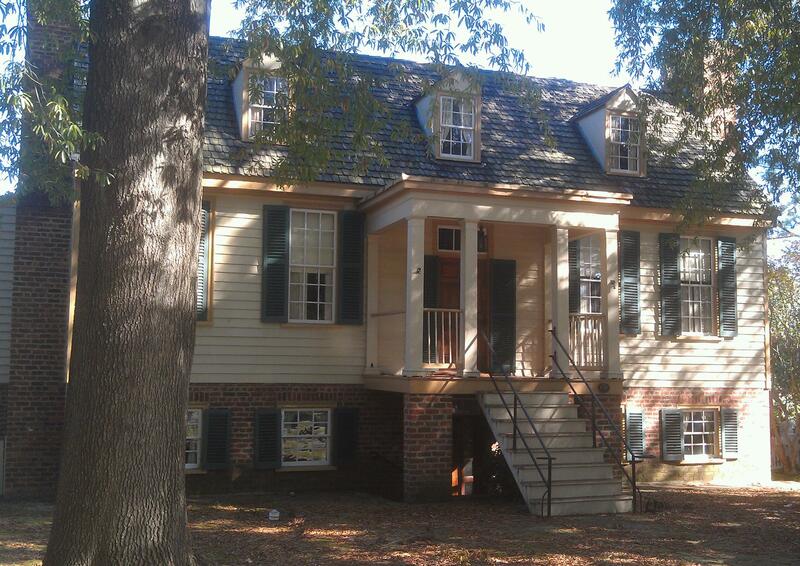 They don’t call it the Historic Triangle for nothing! Who needed Virginia Beach, theme parks or anywhere else on this planet for that matter. We were history in the making and, thanks to mom and dad, we made it over and over and over! After Nel and I were able to understand the birth of our nation, our family ventured out to see what that baby had grown to be. With dad or mom behind the wheel, that same nine-seater station wagon took our family to every state in the US except for Alaska and Hawaii (for obvious reasons) before my sister and I graduated from high school. I’ll tell you how embarrassingly literal that last commandment was as interpreted by mom. There is a old photograph, that I hope will stay hidden forever, that was taken not far from Cairo, Egypt. It is of the four of us on the backs of camels in front of the Sphinx. Mom and Nel are wearing dress skirts and blouses. Dad and I are wearing blue blazers, button down collar long sleeved shirts, gray slacks and (expletive deleted here) club ties. This was the desert, for heaven’s sake! People out here were wearing robes. Even our camels looked at us and snickered. We were Americans alright, and whenever I look at that creepy photo now, I would say we definitely fit the picture of what I would call, not just Ugly Americans, but Damn Ugly Americans. But, to mom, this was a once in a lifetime special occasion, and we were honoring that special occasion by dressing … you’ve got it … special. Looking back on it now, I wish we had all worn faded blue jeans, and red t-shirts with white letters proclaiming “Made in America”. I believe mom would have approved. After all, she looks really good in red, white and blue. When mom sings God Bless America, she still shows the colors even though some of the words escape her. But, since she’s never been at a loss for words, she just throws in a few of her own and keeps on going without ever missing a beat. She has been a dyed in the wool American for 92 years. That’s almost 40% of our nation’s entire 236 years of independence which was gained 236 years ago in 1776 … in where else but Virginia! Mom bleeds red, white and blue … always has … and always will. In my eyes, she is a genuine, one-of-a-kind, national treasure. Posted in family, humor, life, love, personal and tagged caregiver, caregiving, dementia, elderly parent, God Bless America, My 91 Year Old Mom, video, YouTube. Bookmark the permalink. Mom can play a table like Jerry Lee Lewis plays a piano. It makes for hot licks, hot tunes and hot times in the old house tonight! Together, Mom and I make ” This Little Light of Mine” shine like there’s no tomorrow! Be sure and watch mom’s famous hand-over-hand moves on the repeat of the first verse. Amazing! So, what are you waiting for, grab yourself a table, play it in the key of G, sing along with us and enjoy this little jewel of a concert! Warning! The hand-over-hand moves are for professional table players only. What looks simple, takes 90+ years to perfect, so you may not want to try them too fast or you could severely injure yourself, not to mention the table. Posted in family, humor, life, love, personal and tagged caregiver, caregiving, dementia, elderly parent, My 91 Year Old Mom, video, YouTube. Bookmark the permalink. 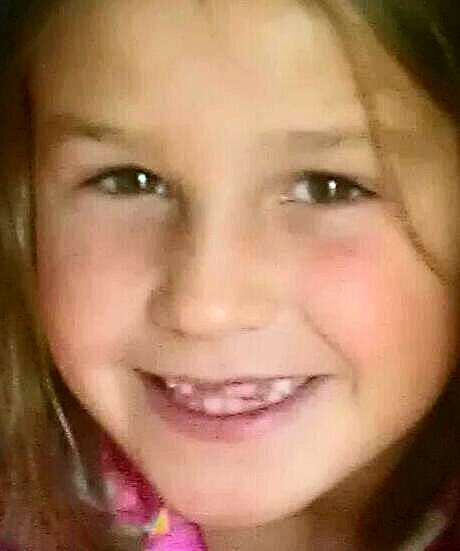 My eight year old granddaughter, Livi, is a talented, beautiful, creative ball of energy and, like her great grandmother and me, loves to sing! She wrote this song in a matter of minutes, we captured it on video, and I’ve been playing it and singing it for mom ever since. And, just like you would have guessed, mom loves to watch the video waving her hands, tapping her feet and humming along. Posted in family, humor, life, love, personal and tagged caregiver, caregiving, dementia, elderly parent, great granddaughter, great grandmother, video, YouTube. Bookmark the permalink. If this isn’t a great commercial for Cool Whip, I don’t know what one is! Mom and I can’t get enough of this crazy stuff. So what are you waiting for? Get yourself a bowl of Cool Whip, a spoon and join us in doing the Cool Whip! It’s the delicious, new hand dance that’s taking the world by storm! Posted in family, humor, life, love, personal and tagged caregiver, caregiving, Cool Whip, dementia, elderly parent, funny video, My 91 Year Old Mom, video, YouTube. Bookmark the permalink.